About half of all people will develop a snoring issue at some point in their lives. Whether your spouse can’t take another night with you waking them up, or if you’re actually waking yourself up with your snoring, we know that you’re eager to find a solution. Plus, the reality is that snoring can sometimes be an indication of some fairly serious health issues. There are quite a few reasons why you shouldn’t ignore your snoring (after all, it’s not like you could, anyway.) Perhaps you’ve already tried traditional “stop snoring” strategies like switching up your sleeping position or trying to change the way you eat before bed. Unfortunately, you haven’t had much luck. Now, you’re curious to learn more about the Smart Nora anti-snoring device. We’re here to give you a complete and informative review of this awesome product. Read on and leave your snoring days behind you. Before we get into our Smart Nora review, let’s take a bit of a closer look at what the anti-snoring device is designed to do. The effect of the Smart Nora is actually two-fold. First of all, it actively listens for the first signs of snoring. Especially if you sleep with a partner, they’ll love the fact that it works to hear them way before your partner ever will. After the device picks up the sound of your snoring, it springs into action. Believe it or not, it’s actually able to control movement in your pillow. The idea here is that the device actually helps you to breathe correctly — and without any obstruction that causes snoring — throughout the night. The pillow moves upwards slightly, which stimulates the muscles in your throat. Snoring is often caused by a blockage in your throat muscles due to the positioning of your head during sleep. The Smart Nora anti-snoring device gently lifts your neck and head. This way, you’ll breathe without any kind of obstruction. The pillow is inflated only with air. Some users find that, for the first few days of use, they sometimes wake up when the pillow begins to inflate. After about three to five days, however, your body becomes used to the movement. Soon, you’ll be able to sleep through the adjustment with ease. The sound of the pillow inflating won’t wake up your partner — so they can sleep through the night again, too. Of course, the level of “elevation” that you need to stop snoring has a lot to do with your height. That’s why we love the fact that the Smart Nora device actually allows you to switch between three different elevation settings (low, medium, and high.) You can adjust the difference to three, four, and five inches of elevation. Be prepared to play around with the different settings a bit when you first get the device. Start on the medium settings, and adjust from there. Now, let’s quickly talk about how you set up the device when you’re ready to use it for the night. Interestingly, the device works through the use of Bluetooth on your phone. Don’t worry — it’s not as intimidating as it sounds, we promise. Your Smart Nora kit comes with a changer, a control dial, the pump and pillow insert itself, tubes for the air, and the listening device that picks up on your level of snoring. You’ll use the Bluetooth feature to connect the microphone on the listening device to the pump. This means that you don’t have to worry about tripping over any cords in the middle of the night. The good news is that the device is super simple to set up, even for those who aren’t exactly tech-savvy. All you need to do is connect the pump to the insert that goes in your pillow. Then, plug the pump into a power cord, or just opt to use a battery. We definitely love the long battery life (24 hours!) associated with the device. Still, we find that it’s just easier to keep it plugged in. What you choose to do is totally up to your preference. It’s just about how much charging you feel like doing. You’ll also need to make sure you connect the pump in the pillow to the listening device. Next, all you need to do is put the insert into the pillow of your choice. For best results, insert it underneath the pillow. This just makes it easy for you to feel extra comfortable throughout the night. Users say that they can’t feel the insert at all this way. Now, you’re ready to turn on your device and go to sleep. You can easily switch the elevation setting in the middle of the night just by flipping the switch from one setting to another. Of course, comfort and a quick installation process are just some of the benefits that might convince you that it’s worth it to invest in a Smart Nora device. Let’s take a look at some of the other features that we love about this effective anti-snoring option. You’re likely curious about how long it takes for the pillow to completely inflate after the microphone detects your snoring. The good news is that you — and your partner — won’t have to wait long to get relief. The entire inflation and deflation process takes about three minutes. 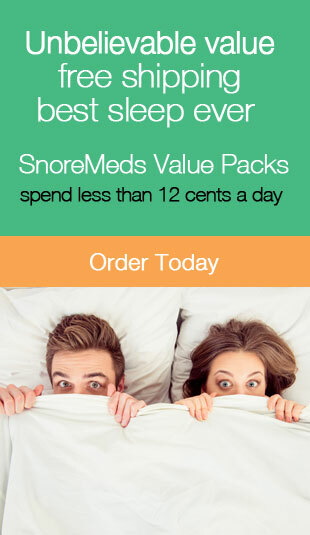 This means that you’ll be able to stop snoring completely in that amount of time. Partners and device users say that they can’t hear either the inflation or the deflation process. Close to 70% of people say that they have serious trouble when it comes to falling asleep at night. If you’re among them, you might be concerned about how the device works. After all, you don’t want to finally fall asleep, only to be woken up seconds later by the device. This is especially important if you know that you aren’t the most sound sleeper in the world. Luckily, the folks at Smart Nora have taken this into consideration. They’ve outfitted the device with a “delay” feature. This is another setting that you can use to delay the movement by 30 minutes. This means that you’ll actually be able to fall asleep and enter into a deeper sleep state before it starts to work. Just hold down the on/off button for about five seconds, and you’ve put the delay setting into action perfectly. It’s thoughtful features like this that make the product so worth buying. In general, most Smart Nora reviews say that the product really does what it promises to. There may be an initial “adjustment period,” but after that, users say they no longer snore. However, there are a few things that you should take into consideration if you’re thinking about buying a Smart Nora. First of all, consider the overall noise level in your room. The microphone, understandably, is sensitive. It’s best to, if possible, turn off any noise machines you may use or music you like to sleep with. This way, the device won’t go off for something other than snoring. Additionally, if you’ve been diagnosed with sleep apnea, it’s important to understand that the Smart Nora device isn’t a cure for it. While it can certainly work — and has worked — to help you to stop snoring, it isn’t a substitute for a conversation with your doctor. You can also try another sleep apnea pillow or stop snoring device if you feel like the Smart Nora just isn’t the right fit for your needs. You might even prefer an adjustable bed or a new mattress. In the end, it’s all about your comfort level and personal preference! The Smart Nora Device: Is It Right for You? We hope that you’ve found this review of the Smart Nora anti-snoring pillow helpful. If you’re struggling to sleep or waking up a partner, it’s certainly proven to be effective for many people in your same situation. Want to learn more about how anti-snoring pillows work? Looking to get your hands on reviews for additional products designed to help you get a better night’s sleep? Just on the hunt for some much-needed advice about how to get more shut-eye? Keep checking back with us for more reviews, tips, and much more designed to help you to wake up every day feeling rested and content. The Smart Nora comes with a 30 day money back guarantee and a a one year limited warranty. The complete Smart Nora system is $299.00 with free shipping. As always, we hope you found this article both informative and entertaining. If you did, may we ask that you share it on social media with your friends and family, it really helps us out a lot and is greatly appreciated.